The beach resort of Tamarindo in Guanacaste province is the best known Costa Rica fishing destination on the North Pacific coast. 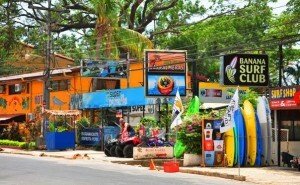 A short 35-minute drive from Costa Rica’s second international airport in Liberia, Tamarindo is the most developed beach in the North Pacific, with no shortage of upscale and comfortable, modest hotels; colorful boutiques; bars and excellent restaurants. The beach itself is calm and accessible, perfect for all manner of water sports. Tamarindo can also be easily reached from San José: either a four-hour trip overland past Puntarenas and then across the Tempisque bridge through the Nicoya Peninsula; or a 50-minute commuter flight on either Sansa or Nature Air. Along with its superb sportfishing fleet and excellent, experienced Costa Rican sportfishing captains, such as legendary captain Randy Wilson on his Talking Fish, Tamarindo fishing offers these important plusses: first, it is only 12-13 miles from where the sportfishing charter boats are moored in the bay to blue water where the Marlin, Sailfish, Yellowfin Tuna and other offshore species congregate. Anglers on Costa Rica sport fishing charters out of Tamarindo can spend a greater percentage of their time actually fishing, instead of time spent traveling long distances. An added advantage is that because the distance to blue water is relatively minimal, solo anglers or a small group don’t need a huge boat to get them offshore to where the fish are. Another plus of Tamarindo fishing is this: Tamarindo is nestled in a sheltered bay. When the annual Papagayo winds sweep over the North Pacific coast between January and the end of March, Costa Rica sportfishing charter boats out of Tamarindo are less affected than those fishing out of Flamingo or Papagayo Bay. 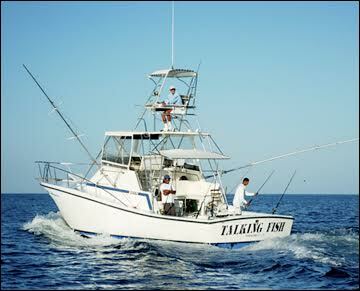 During the windy period – which coincides with the peak general vacation season in the North Pacific – Tamarindo sportfishing charter boats have a better chance of getting offshore, and are less likely to cancel charters, than do boats out of Flamingo or Papagayo. Inshore fishing will be even less bothered by the Papagayo winds. Our advice as a rule of thumb for anglers contemplating a Costa Rican fishing trip or charter in the North Pacific between New Year’s and the end of March: schedule your charter(s) at the beginning of your stay, so that in event that your boat can’t get out because of high winds, the charter(s) can be rescheduled later. The Tamarindo fishing season, like all of Costa Rica, is 365 days a year. Blue, Black and Striped Marlin are caught year-round, but the peak billfish season – perhaps not in such great numbers as in the Central Pacific – is between May and September. Yellowfin Tuna follow a couple of months later, with the really big guys showing up in September and October. Dorado (Mahi-Mahi) are caught along the reed lines, and Wahoo when the water is crystal clear. 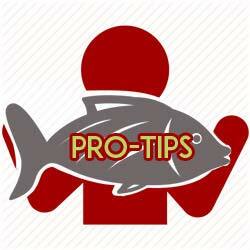 Tamarindo fishing also offers a wealth of inshore species all year. Some of the largest Roosterfish ever caught fishing in Costa Rica have been caught on boats out of Tamarindo. There are several Snapper species, including Red, Cubera and Dog-Tooth; Grouper; Jack and Almaco Jack; Rainbow Runner; Black and White-Tipped Shark, and others. To learn more about the Tamarindo area or to see some Tamarindo, Costa Rica Real Estate Options you may also be interested in speaking to a real estate professional at C.R.R.V.P.